"An apple a day keeps the doctor away." This was a line I had read in one of my books way back during my elementary school days. This could really be true because an apple have many benefits to one's health. 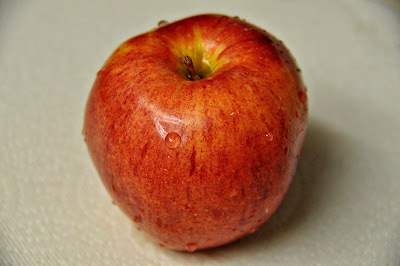 One benefit of an apple is it can give you a fresh breath. I used to order an orange juice during my air travels especially if I arrive early morning; however, I always felt like brushing my teeth after drinking an orange juice. Recently, I changed tactics and ordered an apple juice. True enough, I feel fresh. Care to test road it for yourself?